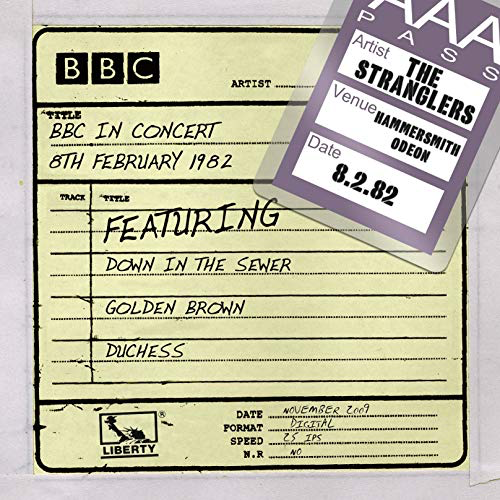 This is an excellent download only release of The Stranglers in concert in February 1982 for the BBC "In Concert" series. The sound quality is excellent and the se is an interesting one, including tracks from the quirky album "(The Gospel According To) Themeninblack" in "Just Like Nothing On Earth" (complete with high-pitched vocals - not sure how they did that) and the rousing "Second Coming". There are also tracks from the group's latest album "La Folie" and from "The Raven". 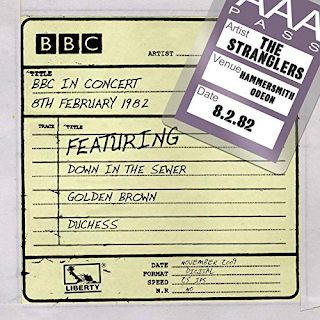 There is no material from their two early "punk" albums, apart from the opener, "Down In The Sewer". The band show themselves to be more than impressive instrumentalists throughout. Some of these songs are quite difficult to play. This is certainly no punk thrash. So, it is very much one for those who are interested in hearing these lesser-known album tracks played live, as I do, as opposed to a "greatest hits live" outing. A highly recommended live album of a band at the top of their game.